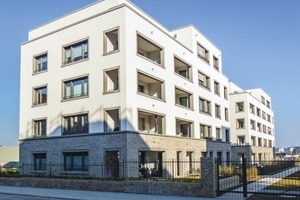 In February 2016, the extensive GWH Riedberg 2.0 project in Frankfurt am Main, Germany, was completed on schedule by the developer GWH Bauprojekte GmbH. 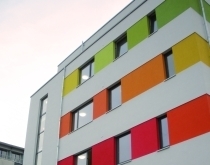 The 71 barrier-free apartment, ranging from 66 to 149 m² in size, were built as passive houses. 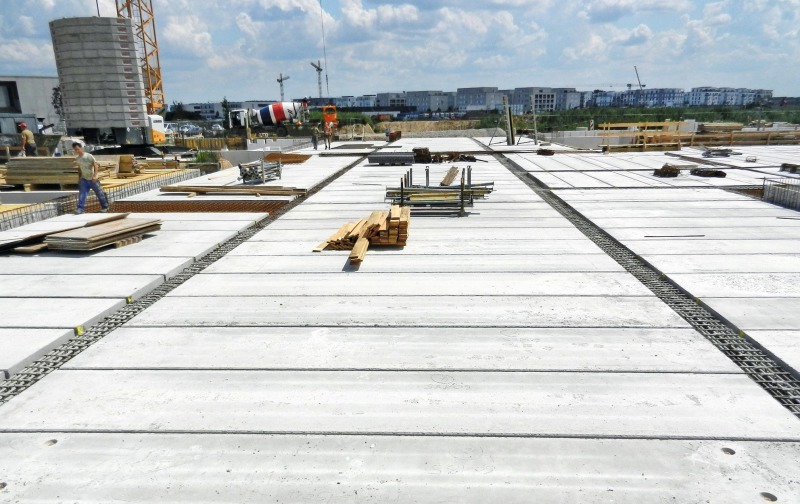 For the construction of the underground garage with 71 parking spaces below the vegetated courtyard, prestressed concrete floor slabs from the company Elbe Delcon GmbH were used for constructing the loadbearing foundation for the landscaped garden above. 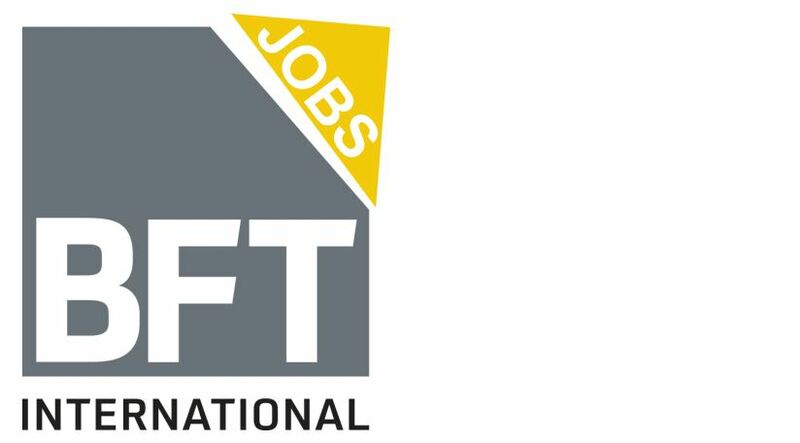 The company Indeco GmbH, which specializes in modular building, had awarded Elbe the contract for design, manufacture, and delivery of the floor elements. 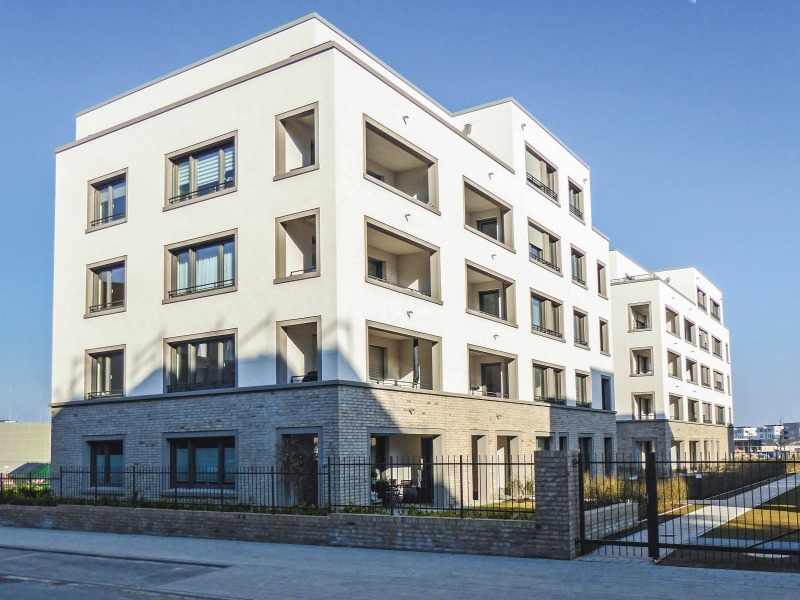 The building complex with a residential floor space of 6,800 m2 was built by Jöst Bauunternehmen GmbH as general contractor. 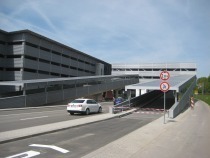 For planting the courtyard with trees, it was necessary to provide the roof of the underground garage with a soil cover of at least 1 m. The prestressed concrete floor slabs in the underground garage were required to support weights of up to 2.6 t/m², and in some areas as much as up to 5 t/m². Dipl.-Ing. Thomas Münz-berg, structural engineer with Elbe Delcon GmbH, developed a special solution for this project: “The Elbe solid concrete slab is designed to support extreme loads in industrial buildings with extraordinarily demanding requirements for loadbearing capacity and span lengths, as well as for noise protection.” The solid floor slabs of 30 cm thickness and spans of more than 6 m rarely require columns; in addition, thicker in-situ concrete floors and double-T-beams were not necessary. 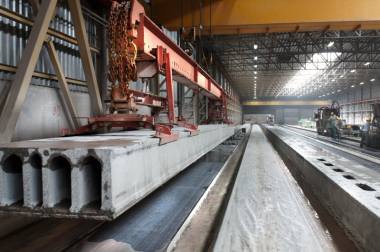 A total of 278 prestressed concrete floor elements were manufactured for the required surface with a total of 1,727 m2. 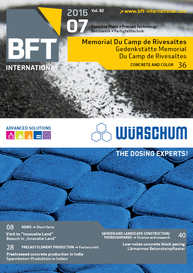 Horst Jungmann of the building contractor Jöst Bauunternehmen pointed out: “The use of solid prestressed concrete floor slabs, moreover, had a positive effect on the time factor. 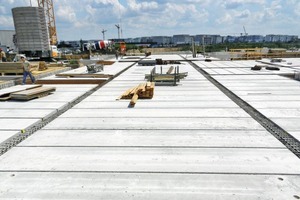 For installing all these floor slabs, we needed less than one week during the tight construction schedule. 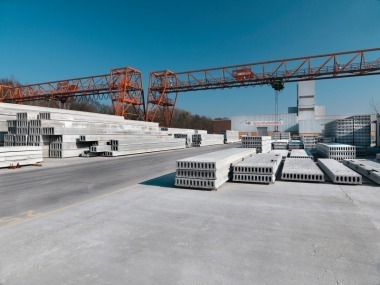 The prestressed concrete floor slabs arrived at the construction site at intervals of 30 to 45 minutes.” For this project, Elbe solid floor slabs from the EMD production series were used.